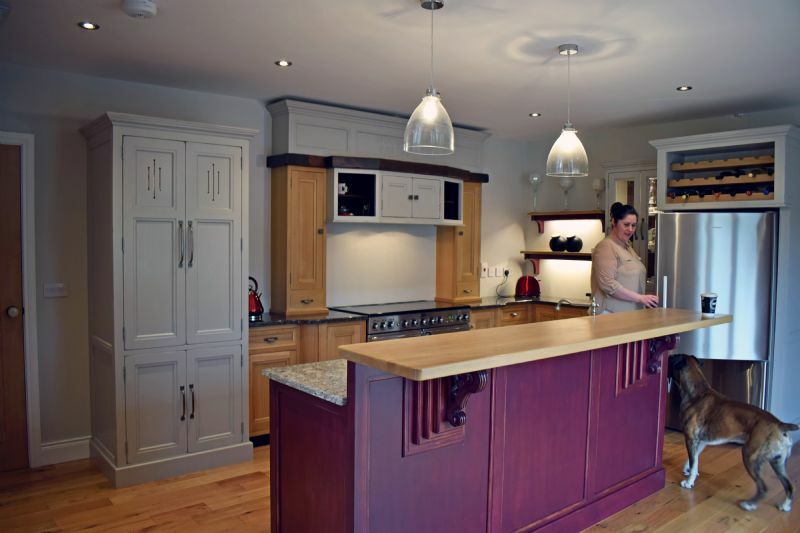 Corinna and Lorcan are smitten with their Blackthorn kitchen. 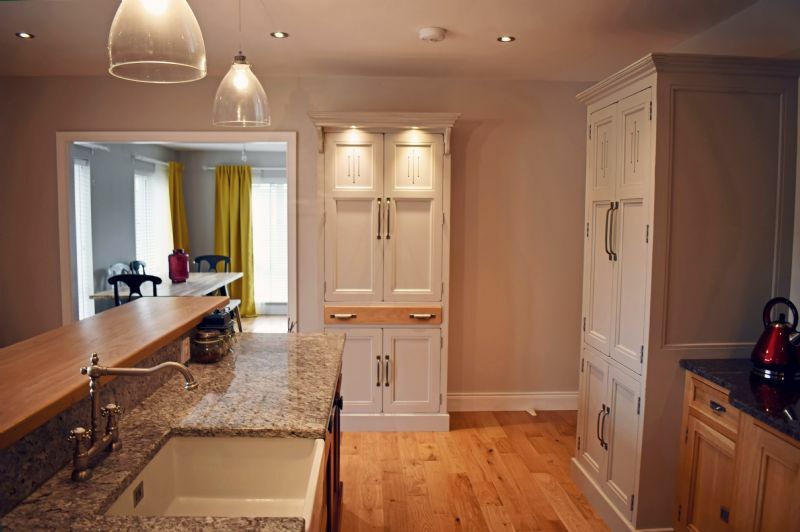 After three years dreaming of what their kitchen would look like as they renovated the rest of the house room by room, Lorcan and Corinna wanted a kitchen that was worth the wait- a room they could spend a lifetime enjoying. 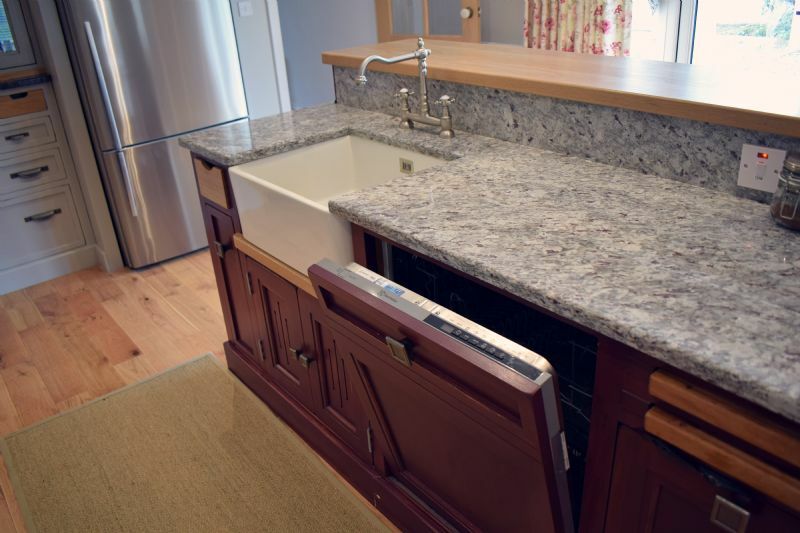 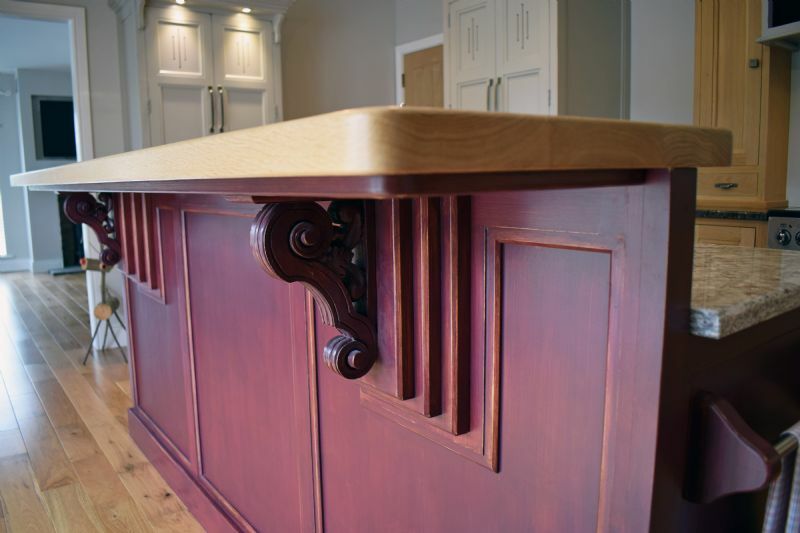 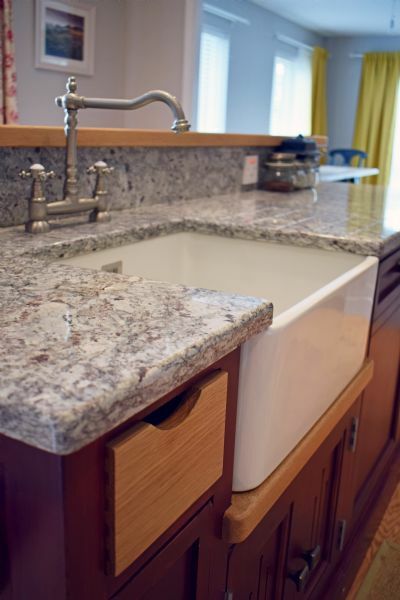 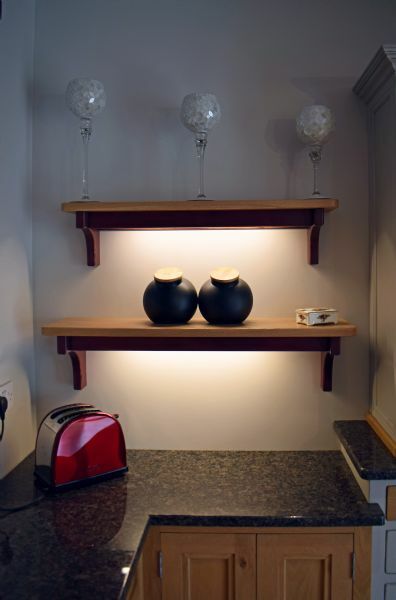 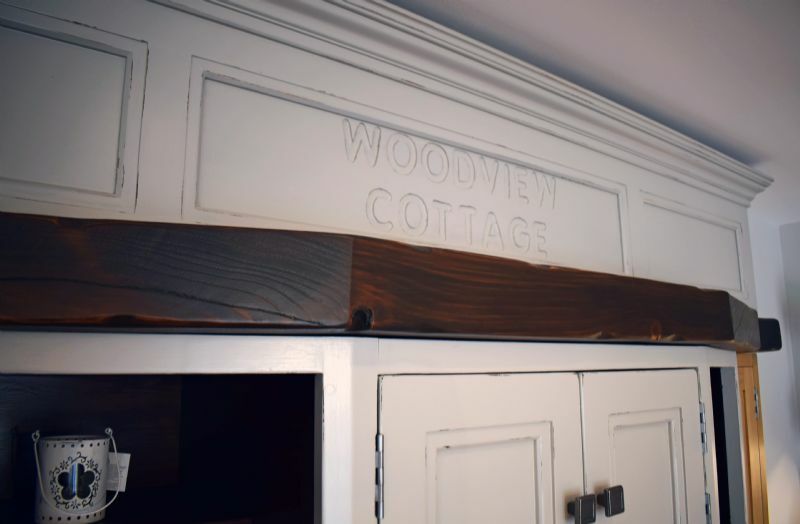 After a thorough search, they came across Blackthorn Kitchens and immediately liked the style and craftsmanship of the work, and most importantly, appreciated their unique brand of friendly and experienced customer service. 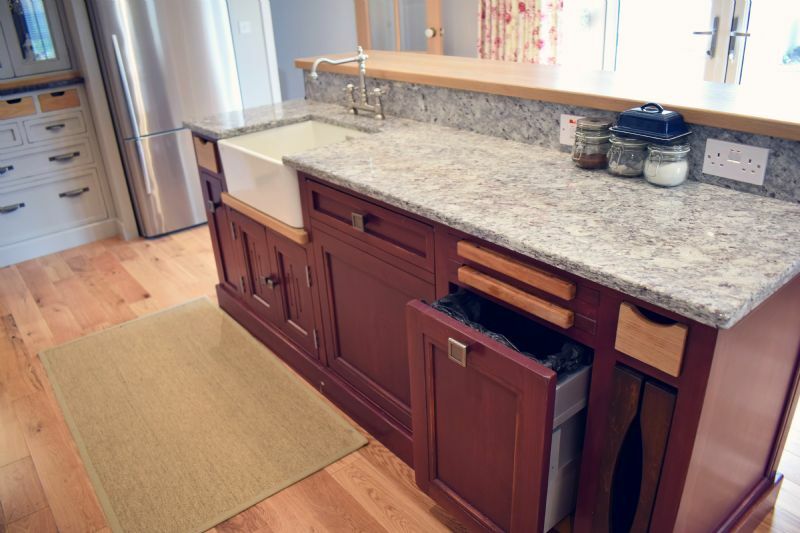 From the start, Corinna says, Blackthorn took great care of their needs, nurtured their ideas, and helped them achieve the kitchen they’d been dreaming of for so long. 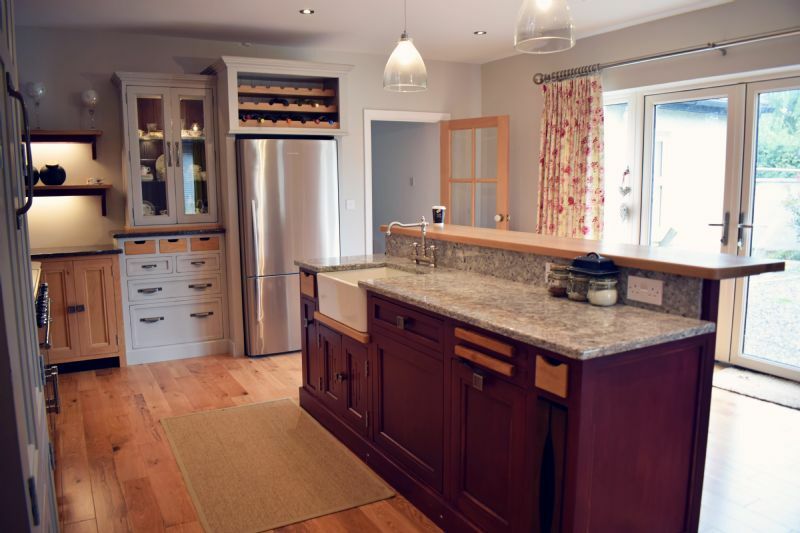 Now, Corinna, Lorcan, and Harry, their gorgeous boxer, are delighted with their kitchen, and numerous guests have stopped to admire it too. 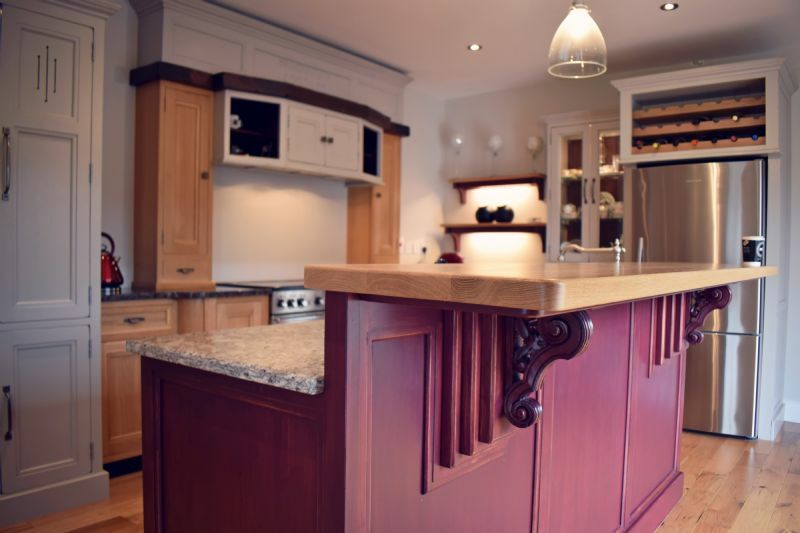 Corinna says she tells everyone about Blackthorn Kitchens, and couldn’t be happier with their service, the aftercare, and of course, the kitchen itself. 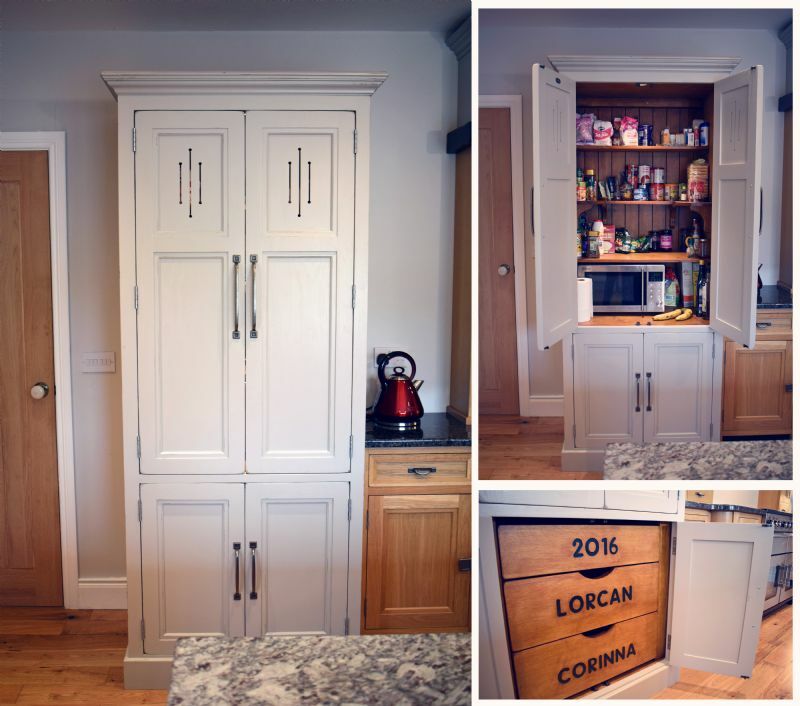 The main units are exposed oak, with larder, fridge and other elements hand-painted in Farrow & Ball Purbeck Stone, the island is painted in Farrow & Ball Brinjal. 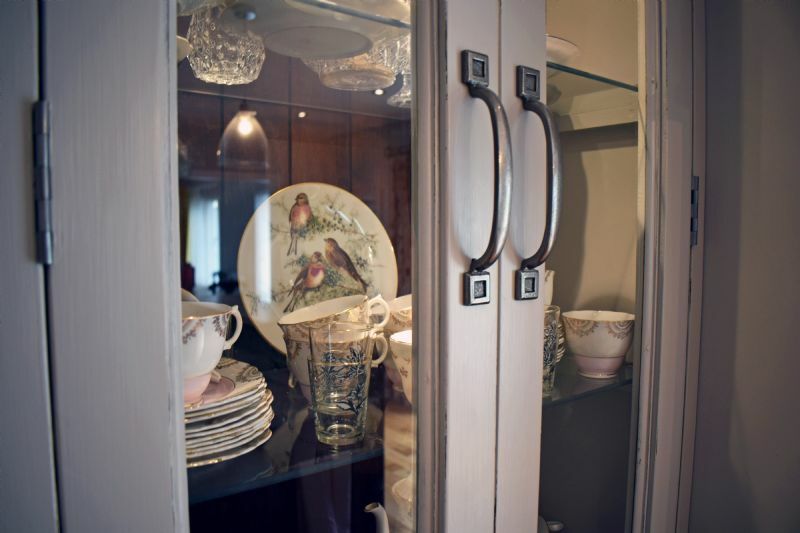 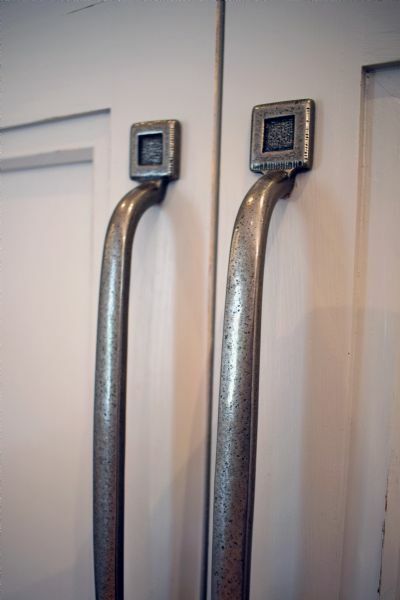 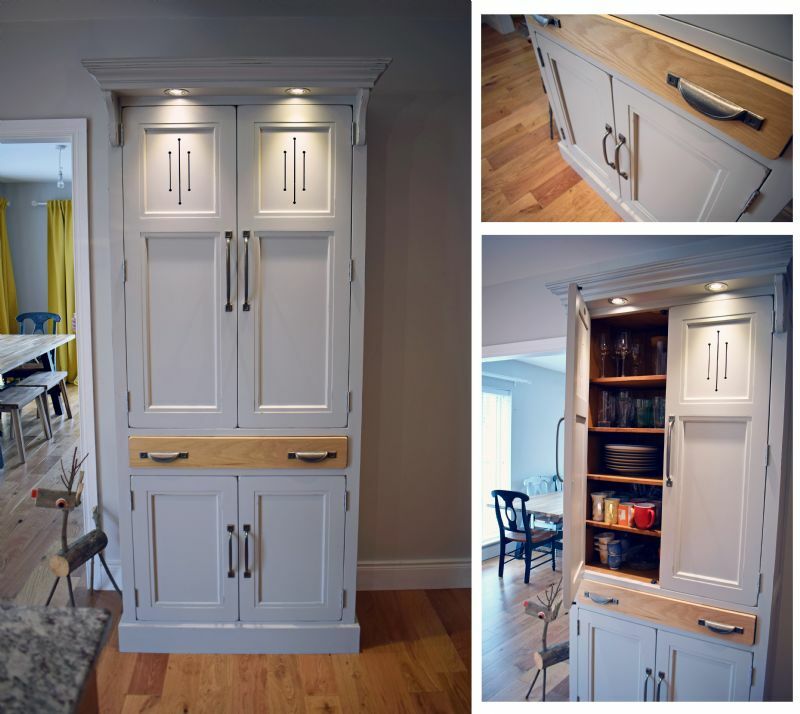 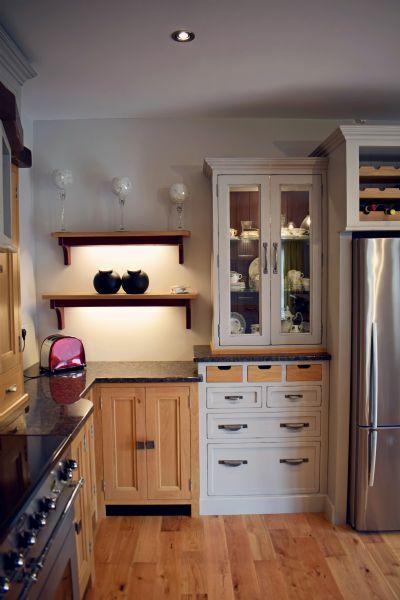 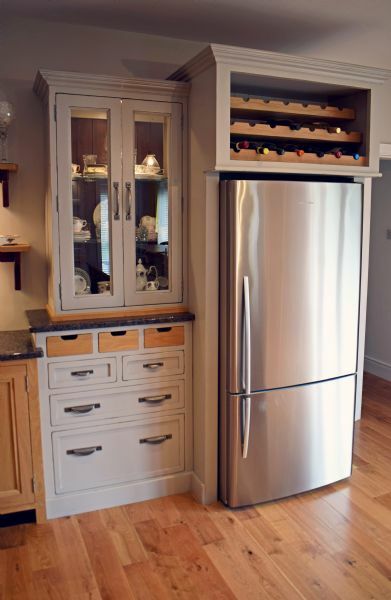 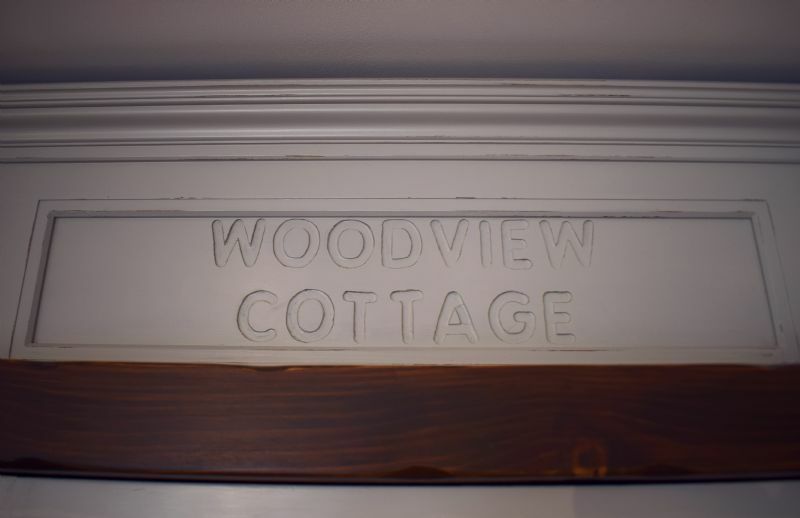 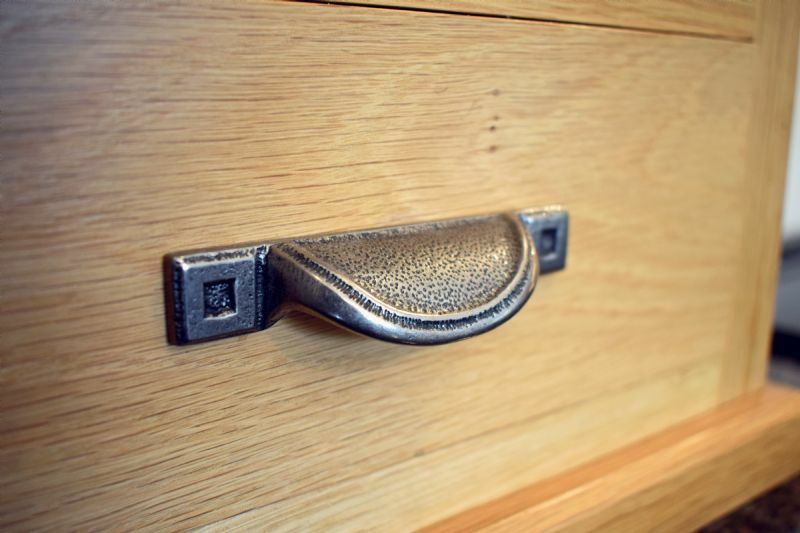 The doors feature a Champher bead, with a Vici cornice on the larder and other units. 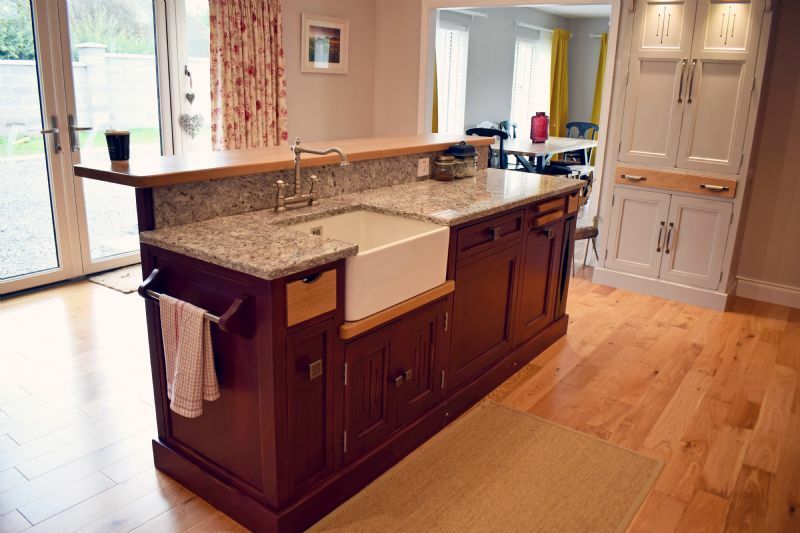 Other features of this beautiful kitchen include a Belfast sink, integrated disposal unit, integrated dishwasher, the classic Blackthorn larder, a wine rack above the fridge, and a customised panel and drawers.